Back to doing what the man arguably does best, we have famed Japanese director Takeshi Kitano guiding violence and mayhem in a gangster picture with 'Outrage', and it's good to see the director in comfortable surroundings once again. For the record, there is not a lot that this director has created that I haven't found at least some enjoyment in, with his offbeat style and methodical pacing, and his hyper violent 'Outrage' does provide a good amount of enjoyment, but if there's anything else underneath the violence and back stabbing, say like a message about some sort of far reaching social issue, I didn't get that part. 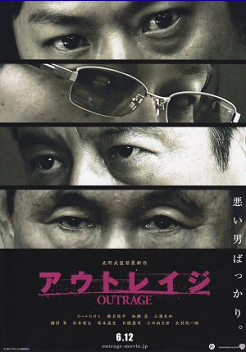 The first thing we have to figure out, as we sit down to watch 'Outrage', is the Yakuza hierarchal structure. At the top we have The Chairman (Kitamura Soichiro) who wears warm up suits all the time. Apparently Yakuza chairmen all wear warm up suits while every single one of their underlings sports business suits. The luxury of being the chairman I guess.  The Chairman is a horrible person, but he comes off as a nice guy to most of his underling since he passes off all of his dirty work to his no. 2, Kato (Miura Tomakzu). You would think being essentially the vice president of a major business enterprise would be a good thing, but the Chairman mercilessly abuses poor Kato, and whenever anything doesn't go exactly to the Chairman's plan, Kato is the one that gets a slap upside the head. Under Kato we have our bosses, and today's boss of concern is Ikemoto (Kunimura Jun) who has been instructed that one his good friends, a boss in another Yakuza mob, is causing some trouble and needs to be dealt with. Thus Ikemoto dispatches his underboss Otomo (Takeshi) to deal with this problem. dirty cop in our midst (Fumiyo Kohinata) and he might be the best representation of this movie as I'm not completely sure who he works for since he appears to have his hands in everything and takes orders from everybody, but ultimately I guess he works for himself. Our man Otomo begins by dutifully following the orders of his boss Ikemoto… then figures out that maybe following Ikemoto's orders isn't the best way to go. Otomo has his own crew who he dishes out orders to, and while his no. 1 Mizuno (Kippe Shina) looks to be loyal to a fault, if not a little off his rocker, his no. 2 Ishihiara (Ryo Kase) with his youth, expensive suits, and amber sunglasses doesn't look like anybody I would turn my back on for one red second. Back at the main office the Chairman is steadily lying to people then dispatching the besieged Kato to carry out what he really wants done, and everybody is steady conspiring against everybody else… Bullets to the back of the head, bullets to the face, mass shootings, dismemberments, butcher knives, machetes, explosions, chop sticks and decapitations will all follow. I believe my first introduction to the films of Takeshi Kitano was his American film 'Brother' which I thought was pretty amazing at the time in its realistic presentation of violence and how brutal it was, and thus I became a fan and started tracking down all of the man's films. In hindsight 'Brother' might be one of his weaker films… but at the time… that being said, the style that is Kitano was there, and it is here in bold display. Numerous characters, double dealings, various characters committing to actions without considering the consequences of these actions, the sudden, shocking, matter of fact style of violence, the muted tones, humor so dark that there will be times you cannot see it, and a conclusion… no matter from how you choose to approach it… that you know cannot end well. This is a Kitano film, and it is a good one. But it is not a great one, at least in my opinion. As I mentioned earlier, while I don't think the narrative is ever confusing, but it is convoluted. And is there even really narrative, at least in the sense of a beginning, middle and end? This could be up for debate because it's not like any of these characters are progressing towards any particular goal, at least not our main character who just follows orders until he gets tired of following orders and then allows the chips to fall where they may. Other characters might have goals, those being stabbing people in the back to achieve a higher position until it's their time to get stabbed in the back, which did get me to thinking how can anybody in this business trust anyone? We have the illusion that the Yakuza is an honor based organization, but this movie informs us that it is anything but. So I guess my question to the director, if I were privileged to have an audience with him, would be 'what was the point? What are you trying to tell me?' Maybe there isn't one. It's just a visual, visceral, phenomenally well-acted demonstration of a week in the life of a criminal family when everything hits the fan. At the end of the day I think I can say that this was enough, though I can't help but feel that there should be more, and if there is more, I'm disappointed in myself that I didn't see it.